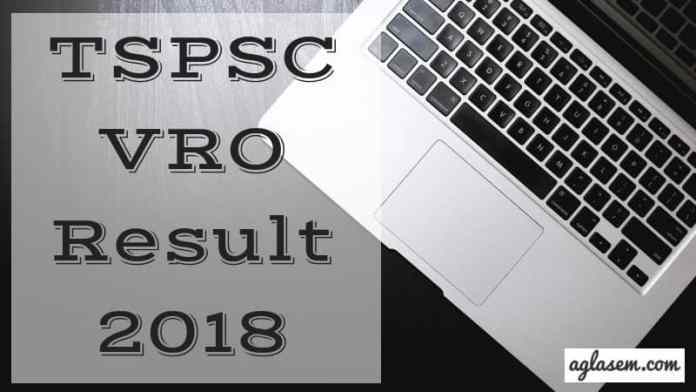 TSPSC VRO Result 2018 – Telangana State Public Service Commission (TSPSC) has released the final Final TSPSC VRO Result 2018 of VH(W) post on March 29, 2019. The result is in the form of pdf and containing the roll number of the selected candidates. For the post of 01 VH(W), final result will be declared later. Out of 700 vacancies, 697 vacancies are filled. After the successful conduction of the document verification on March 06, 2019 for the VH(W) post, the final result has been declared. The verification held at TSPSC Office, PrathibhaBhavan, Nampally, Hyderabad. From this page, candidates will get full information regarding TSPSC VRO Result 2018. Latest: The final TSPSC VRO Result 2018 of VH(W) post has been announced. Scroll down to access the link. Final Result of VH(W) Post: Click Here to check the Final TSPSC VRO Result 2018 of VH(W) Post. Result Notification For Verification: Click here to check the list of selected candidates for document verification. Web Note: Click here to check the Web note for 2nd spell verification. Selection List: Click here to check provisionally selected for appointment to the post of Village Revenue Officer. On the day of the certificate verification round candidates need to carry the Original certificates along with one set of Photostat copies duly attested by Gazette Officer, relating to Age, Qualifications, Community (Integrated),Latest Creamy Layer exemption certificate in case of B.Cs, age relaxation certificate, 4th class to 10th class qualifying document etc. From the link given below candidates can check the list released by the TSPSC. Provisional List: Click here to check the provisional list containing hall ticket numbers of the qualified candidates for certificates verification. How to check the TSPSC VRO Result 2018? Thereafter, the Result login page will appear on the new tab. Thereafter, click at the Get Result button. TSPSC VRO Result page will open on the screen. Once the Commission release the result, It will invite the qualifier for the document verification. At that, time all the shortlisted candidates have to appear for document verification with original documents. It is mandatory to produce all the original documents. If a candidate doesn’t provide the documents then he/she will be treated as disqualified. Check out the list of documents which are necessary to carry at DV. All original documents which certify the educational qualification. After completion of the document verification process, the Commission will release the final merit list. The merit list will show the name of finally selected candidates. Merit List will contain the name of the candidate, rank of the candidate and roll number of the candidate etc. Merit List will be in a form of PDF. As of now, the candidates must have knowledge of the selection process. There is only one stage in the selection procedure. The candidates had to undergo the written examination. Those who have obtained the minimum marks will get their name in the result. As we said above the candidates need to obtain the minimum marks. And the Commission has distinguished the marks for each community. Whereas the candidates of OBC and SC/ST category will have provided the relaxation of 5% and 10% respectively. The starting salary for TSPSC VRO Recruitment 2018 to the post of Village Revenue Office will be Rs 16400/- per month. The starting salary may be the same or it may vary on the basis of education and experience. The recruited candidates pay scale will of Rs. 16400-49870/- per month.